15% OFF All Bentley Service and Technical Manuals at Pelican Parts! If you plan to work on your vehicle yourself, or just want to have a great comprehensive guide with torque specs and step-by-step tutorials then you will want one of these books for your garage. If you aren't a DIY’er, you will find that still reading and owning a manual will make it possible to discuss repairs more intelligently with a professional technician. 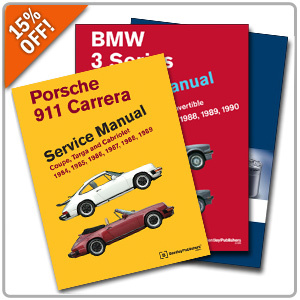 From now until October 11th take 15% off all Bentley Service Manuals when you apply the promo code BENTLEY15 during checkout!